Sun Son Theatre, returning to Summerhall after its success in Taiwan Season 2017, welcomes you to enter a light-hearted world of live action and hand-crafted animation. Originally created by visual artist/actor Wan-Chun Liu, this disarming show is a 21st century urban fairytale where the line between real-life and fantasy is sweetly blurred and dreams can come true. It introduces us to a single woman – buoyant and colourful, but also bored and lonely – who returns home after work every day to a world of the imagination. Hand-drawn film imagery conjures up home as a safe but possibly confining place of salty tears and sugar water, bathroom karaoke and a mermaid alter ego who isn’t at all as ugly as she might sometimes feel. Come and let your own imagination – and spirit – run free. 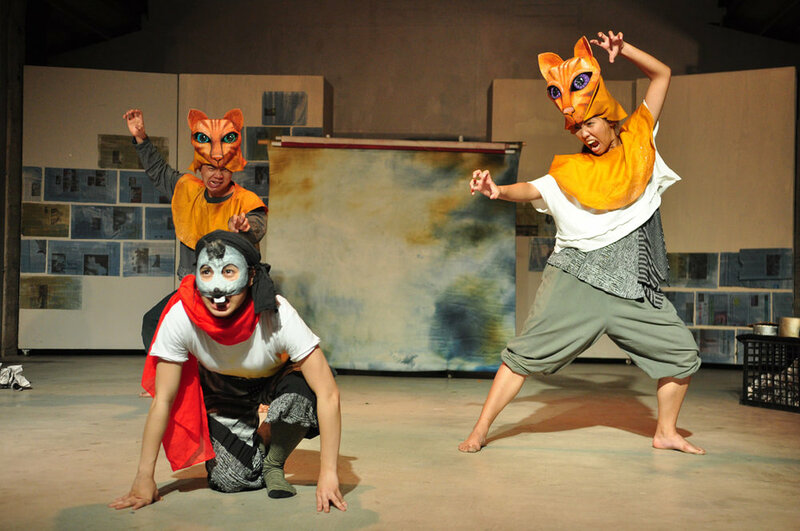 Founded in 1998, Sun Son Theatre is a unique musical and physical theatre from Taiwan. Imbued with the company members’ expertise in acting, music and dance, its collectively-created performances explore the primal power of the moving body and live sound. Utilising both modern and traditional aesthetics, the work is characterised by an organic and unified energy free from racial and cultural boundaries.